The time has come to start thinking about the goals and new year resolutions that you want to put in place for next year. Many of which, can be financially related. So many people aim for things such as owning a home or moving from one house to another. Saving for certain holidays or rainy days or even just being debt free. Whatever your financial goal may be, you need to start thinking about it now and planning to make it a reality. But how can you do that? Try these steps to help give yourself a financial overhaul. It could help you get in the right frame of mind for the year ahead. What goals have you got in mind? First of all, take some time to think about your financial goals that you have for the new year. Think about what it is you want to achieve. It doesn’t matter how big it may seem. Owning a house for example, or paying off your debts may seem impossible right now. But the whole point of making the financial goals is so that you can then take smaller steps with different targets to help you achieve it. It might be worth writing it down somewhere that might remind you often what it is you are wanting to do. The next thing to think about would be to look at your current financial position. Look at what position you are in buy checking your last three months bank statesmen’s. This will highlight exactly what outgoings you have and their costs. It will also help you to understand what you are spending each week on things like food or other things like clothes or luxuries. Knowing what you spend and how much you have going in versus leaving your account will help you to try and make savings where possible. If your goals next year involve any from of credit application, like consolidation loans for debt or mortgage applications for buying a house, then you need to understand your credit history and scoring. You also might want to monitor it moving forward so you know everything that is going on behind the scenes. This is when looking at the best credit monitoring services comparison article online can help you decide when he one is best for you. Knowing where you stand on your score and history will help you improve it or make changes such as correct details before making any applications in the future. Is it possible to make savings now? Finally, is it possible to make savings right now? I think that you could look at what your spend and make some changes to give you some instant savings. It could involve switching providers for things like energy or insurance products. Maybe it could be reducing your food shopping bill by meal planning, changing where you shop or switching from branded to shop own products. 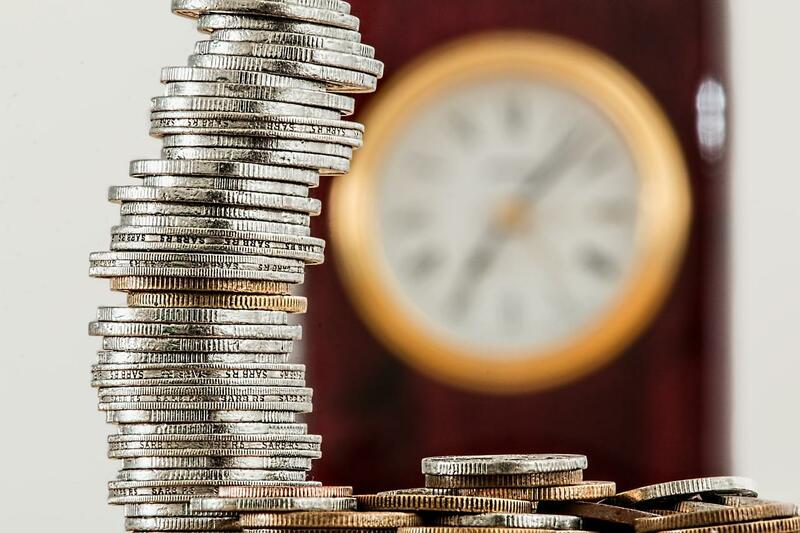 If you are in need of a financial overhaul, these are ways you can start to actively make savings and doing things now, which will then help you start fresh in the new year to achieve your goals. It’s always a great time to reflect on your financial goals and choices to help decide what changes you’d like to make over the months ahead. So much in your life will be dictated by your financial situation, and your decisions will be significantly influenced by your income and expenses. Therefore, it’s always a smart idea to take charge of your money and get a thorough understanding of how you can improve them from month to month. Whether your financial goals are to do with owning property, cutting your interest rates, or finding a better deal on your monthly outgoings; there’s no time like the present to begin making necessary changes and improvements. Sorting out your money, and having a clear idea of what your future holds will also give you peace of mind throughout the year, meaning that you’ll have a successful and productive time ahead to look forward to. The following are some ideas, inspiration, and advice for those who what to manage their income better and give their finances a boost so that they have more freedom and choice, and will enjoy a fruitful future where they can make their dreams a reality. There are always excuses you can find not to save some money each day, week, or month. However, getting into good saving habits now will be something that you appreciate in the future. There is always a way to put a little (or a lot) aside and cut back on your expenses, so figure out how to do so as soon as possible. Open up a separate savings accounts, and begin making wise financial choices each month so that a portion of your income can automatically end up in your savings pot. If you’re unsure if you really need to buy something, don’t; utilise that cash in the future and put it away so that it can earn some money back for you in the months and years ahead. It’s always worth discussing your situation with your bank or a financial advisor so that you have a clear understanding of what you can achieve, and by when. You’ll have a stash of cash for that rainy day or an important deposit in the future which will be a great way to feel when you’re putting the money aside. A good credit score can lead to all sorts of opportunities; it can affect your ability to successfully apply for a loan for something vital like a car, to being able to lease a variety of accommodation and rental properties. Therefore, it’s crucial to a happy and straightforward life that you check your credit score regularly. If you haven’t ever taken out any form of credit; this can be just as detrimental to your ability to apply for things as having a poor credit score. If you’re keen to increase your assets, improve your surroundings, or purchase something major; a great credit score could be the key to getting what you need and want, so don’t ignore it, or push it to one side for a later date. Check out ways to improve and better your score so that you’ll have less to worry about and more to look forward to. Management of finance is an important aspect of one’s life and as parents, you should make sure that your child starts learning about it from a very young age. Listed below are a few steps that you can take to teach ways of effective financial planning to your children. It is perhaps the most interesting way by which your child learns about money management. There is no point in telling him about the usefulness of saving money, or about the ill-effects of overspending when he is too young, for instance 2 to 5 years old. Therefore, use the piggy bank. Give him a dollar or two each day and ask him to deposit it in the bank. As he is rewarded with a large sum of money at the end of the month or so, he automatically will be inclined towards saving more for the coming days. Therefore, the first lesson of financial planning, i.e., the “usefulness of saving” is learnt. As your child grows a little older, say 7 or 8 years old, start setting short-term financial goals for him. Continue giving him a certain amount of pocket money and ask him to save up for an expensive toy or a short holiday trip that he wants. In case of the holiday trip, you can ask him to save enough money so that he can sponsor the lunch at one of the most well-known restaurants of the place you are visiting. Setting short-term financial goals from a young age always helps. In this manner, your child is slowly prepared to set long-term financial goals (like higher education) and save money accordingly. Only setting monetary goals and asking your child to work on them will not be sufficient. You have to guide him as well. For instance, if you are asking him to save up for a bicycle, keep dropping hints on how he can cut down on his expenses. Ask him to cover the way to school on foot (if he can) instead of taking a cab. He does not really have to live on abstinence. However, you can definitely advise him to cut down on his entertainment costs, or his expenses on food (keeping in view that it does not harm his health) until he buys the bicycle. When your child reaches his teen, you should gradually start teaching him about the importance of prioritizing his goals. He might have got whatever he wanted as a little child but now is the time to bring about a change in his thinking. In future, there will be times when he will have to make grave choices as far as fulfilling his own wishes are concerned, for instance between an expensive car and an equally exclusive holiday trip. Therefore, start preparing him for these types of situation in life. Advise him to spend wisely. Today, if he is given a choice between keeping aside some money for his higher education and spending the same amount for a short trip with friends, he should be able to judge which is more important for him. As parents, you possibly can’t decide the career path to be chosen by your child. It will depend on his choice, talent, and his ability to make the most of the opportunities presented to him. All you can do in this case is motivate him to follow his dreams and make sure that he gets the right kind of training that is required to transform his dreams into reality. But it would be advisable if he understands that he should choose a career that is fulfilling (in terms of job satisfaction) and lucrative as well. Only saving up money for future will not do. He should earn sufficiently as well to invest in profitable schemes so that his savings are doubled or tripled. Marie Nelson is a passionate blogger with expertise on financial matters. The global economic crisis has been the subject of most of her recent write-ups and at present, she is writing exclusively for United Finances.